Cold-calling is hard. 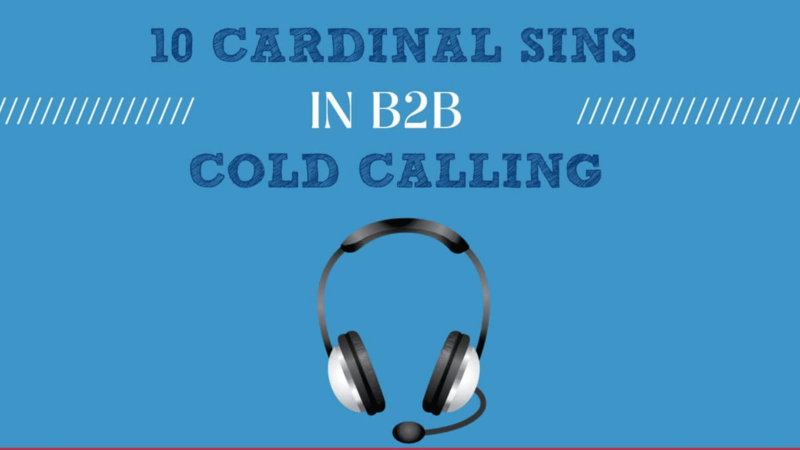 To some extent, in senior-level b2b telemarketing, it’s a numbers game. But, why make it harder for yourself than it need be? Winging it generally doesn’t work. And, good preparation generally delivers better results. But what factors are guaranteed to set you on the right track and what are the things that will ensure you don’t hit your targets? In this blog, we look at the factors that are most likely to impede your progress. If you can overcome these pitfalls, you’ll definitely be on the road to cold-calling success. A good cold caller knows their target market. They have researched and identified the typical challenges facing buyers. They understand what keeps their prospects awake at night. They have also worked out how their products or services alleviate those problems. Planning starts from identifying the target audience and building a robust database from which to call. Preparation time should be devoted to looking at competitors and how your business is differentiated and also to understanding which decision-maker is best placed to buy your services. Often, this differs by size and type of organisation so consider whether your proposition and pitch need to change dependent on whether you’re speaking to an owner or MD, Finance Director or Facilities Manager or some other job function. Effective telemarketing callers also plan the call opening (both to the gatekeeper and buyer) and understand the outcome they want from the conversation. Calls that meander and have no clarity of purpose tend to end in disappointment. So, make sure you plan every aspect of your telemarketing campaign and you’ll deliver better outcomes. The best telemarketers are relaxed, professional and engaging. They don’t sound scripted and they come across as someone with whom prospects might want to do business. Differentiate yourself and you’re part of the way to a better call and achieving your objective. The problem is that customers are flooded with marketing messages. They’re busy. They are time poor. In amongst all this clutter, the last thing they need is yet another telemarketer hitting on them with the same tired patter that the last dozen callers used. Remember that you’re interrupting whatever they were doing that they consider is important. How would you feel if a weak cold-caller interrupted your flow? It’s very difficult to prove that you and your company walk the walk if your ‘talk’ sounds the same as every other new business call they’ve received this week. So, find a different angle. Be upbeat. Build rapport and try to find something that will prick the buyer’s interest. Buyers want to engage with callers that come across as unscripted, sincere and knowledgeable. Therefore, you need to capture their imagination early in the call if you want to proceed to the next stage and end up on supplier shortlists. Your opening line and the first few seconds are critical. How long does it take to create a good impression? Don’t ruin your crucial opening gambit by spewing out a long list of your services. The prospect isn’t interested and certainly won’t bite with that kind of introduction. The key is to demonstrate understanding, credibility and interest. That’s hard in one sentence. However, it’s vital make the early part of the discussion work for you. Each segment of the call effectively buys you time with the decision maker. Get it wrong and they will quickly switch off, get rid of you and go back to whatever they were doing before your call. So, work on your introduction. Think about the challenges your buyers have. Consider the problems they face and how you might help them increase profitability, reduce wastage, enhance brand credibility or remove risk. Whatever it is, try to weave it into your opening line. That doesn’t mean a long list of things you offer. Take great care to think benefits not features. Too frequently, cold callers talk about what their products and services do rather than focus on genuine customer benefits. The first few seconds are the gateway to a successful outcome. Don’t blow it by a poorly planned intro that sets the wrong tone for the call. None of us like to be sold to. We like to choose to buy. We want to be in control of the process. An overly salesy approach is doomed to failure. It’s about the customer not you or your products and services. If you want to sell, concentrate more on being liked and being interested in your customer. Say something genuinely interesting. Customers want to feel that you’re interested in them. They don’t want to be next in a long line of today’s sales calls. They want you to become a trusted advisor if they believe that you can help them. Don’t be perceived as a sales person and you’ll sell more. Successful higher value sales people know how to build rapport. They are relaxed and don’t come across as too fast-paced, edgy and self-indulgent. After all, it’s a dialogue not a monologue. It shouldn’t be about pitching. It’s a conversation and, if anything, the ratio of talking versus listening should be more talking by the buyer than the sales person. If you work it right, the prospect will be only too willing to talk about their concerns. But that will only happen if they like you from the start of the call and where they begin to trust what you say. So, find the right balance and avoid coming across as a typical salesman and you’ll be more likely to achieve your sales targets. Shyness and nervousness aren’t likely to be at the top of the list of sales skills. Over-confidence also isn’t a positive trait especially where it tips over to arrogance. But, some callers lack confidence and that comes across in their voice and their lack of focus during the call. Not everyone enjoys making cold calls but it often comes with the job. It can be daunting speaking to very senior people in large organisations, assuming you’ve made it past the gatekeeper in the first place. So, you need to work on the right approach. Confidence isn’t necessarily something that can be trained. It comes with experience. It results from having failed a bit and it comes from trialling different approaches until you find the one that works best for you. Practice and role play with colleagues if you’re struggling. Work on deep breathing techniques to open up your diaphragm to allow you to project your voice more. Stand up and it’ll make you feel more empowered. Work on and perfect your approach in advance and you’ll be less likely to wing it and make a hash of the call. Nervous and vague telemarketers will almost certainly make ineffective sales people. It’s essential to sound confident even sometimes when you aren’t. 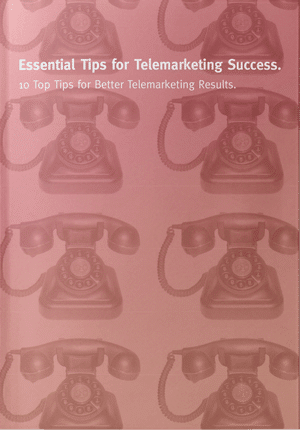 Much of telemarketing is about belief and perceived seniority. So work on your tone and confidence and get rid of that shy inhibited person inside. The Gatekeeper stands between you and the decision-maker who holds the budget for purchase. Therefore, take great care when speaking to anyone blocking the way between you and your buyer. Focus on your goal to have a conversation with the decision-maker and find ways to overcome the gatekeeper. Kicking off a call with the gatekeeper with a full explanation of what you offer and why you want to speak to the decision maker is risky. Gatekeepers have important roles in many larger organisations where bigger budgets usually reside. Those that work within departments or directly for a senior decision-maker have often been in their role for years. Hence, they are well trained and well informed. They know most suppliers by name. That’s great for their boss who doesn’t want to be disturbed by cold calls but not so great for a telemarketer wanting to become a new supplier. Why would a good gatekeeper put through a stiff, scripted and weak cold call to their boss? It affects their personal credibility. Unfortunately, if you tout your wares to the gatekeeper, there’s also a risk that they will make a negative decision about your services that they are not qualified to do. They may not yet know that their company is looking for new suppliers with your particular area of expertise. But they’ll make a decision to block you based on the current knowledge they have. So, plan for gatekeeper blocks. Sound authoritative. Work out what you’re going to say and don’t tell them your story if you don’t have to do so. The problem with many cold callers is that they love to talk. But the best telemarketers know how to blend talking with appropriate listening. They ask the right questions and follow this by active listening which helps build rapport throughout the call. No one likes spending time at a party with a self-centred egotist that loves talking about themselves. The same goes for the phone during a buyer-seller dialogue. With significant value sales, results are unlikely to come from this approach. Some degree of diagnosis is required to establish if there’s the right fit, the right products and services and whether one solution or another is appropriate. That’s impossible to do if the caller bangs on and on about what they do without pausing for breath. How can you establish whether what you have suits the needs of the prospect if you haven’t asked good probing questions? Equally, we’re all guilty of interrupting at times. That may be due to a genuine desire to help. But it comes across as rude. So, pace yourself and focus on listening before jumping in. Remember, the purpose of the call is as much about qualification and profiling to establish whether there’s a match made in heaven as it is to achieve a sale right from the start. So, identify effective questions that are relevant to the buyer. Be sure to listen carefully and resist the urge to talk too much. Objections are regularly caused by poor telemarketer approaches. We’ve spoken about planning the call, getting the intro right and not talking too much. Often, this kind of cold caller will get a quick brush off due to a poor start to the call. But, even telemarketers that manage to leap over the first hurdle get tripped up by not being able to deal with typical objections. Objections can be requests for more information where the prospect just wants more clarity or detail. Equally, there are different degrees and types of objection from straight blocks through to genuine questions to find out more. But what’s the best way to deal with this? Too often, sales people jump on objections and try to ‘answer’ them as soon as they arrive. A better approach is to use targeted questions to break down the barriers to sale. Effective objection handling is about listening, understanding and clarification and only then is it about providing an appropriate response. If you don’t ask good diagnostic questions when you encounter objections, how can you gain the full picture? Is this the only objection? Or are there others that are hiding below the surface? And, once you have provided your response has that answered the objection sufficiently for the buyer to proceed to the next step? A good approach is to plan for typical objections. If you’re making outbound calls into a specific sector or to a specific decision-maker, you’ll often come across the same objections time after time. If that’s the case, it pays to prepare questions and answers in advance to give yourself a better chance of success. There was a great statistic in Retail News Magazine a while back. It stated that 85% of sales interactions end without the sales person asking for the sale. That may be specific to retail and the shop floor but it does point towards a malaise that is all too common in telemarketing. Cold callers can be guilty of woolly calls that don’t lead anywhere; a nice chat that results in the prospect saying they don’t have a need and the telemarketers thanking them and saying goodbye! If you’re clear about your objective for the call (a sale, demo, quote, meeting, attendance at an event and so on), and your target audience is well-defined, you’ll be much better placed to achieve your goal. Of course, you need to qualify the need first and ensure you’re talking to the right person in the right kind of organisation that can benefit from what you offer. But, assuming that you are indeed talking to the right person, you need to be clear about the reason for the call. That doesn’t necessarily mean you have to dive in at the start and ask for the meeting. That goal can be for later. But it is important to establish a basis for the conversation. That means following up your good intro with a good question and suggesting that if they have a little time to explore the subject then perhaps a meeting (quote / demo) may be the next step. Be clear about the objective for your call. If you’re too tame in your approach, the buyer is unlikely to take you seriously. You have to build rapport first but you won’t achieve your aim if you lack assertiveness and don’t ask for what you want. Lead generation is very much a process. That starts from raw data and ends hopefully with a designated outcome or result. It’s in part about the numbers but it’s certainly an ongoing process. If only every cold call resulted in a sale it would be nice but that’s pretty unlikely. So, don’t commit the cardinal sin in telemarketing and give up too soon. Make the activity work for you and follow it through to the end. It’s often the seventh or more call that delivers the result. Too frequently, telemarketers, and companies that engage them, give up far too soon. It’s sometimes a marathon not a sprint. Of course, if all the right elements are aligned, it can work quickly but that’s not always the case, especially for larger ticket sales. If you’ve done good work identifying and profiling your target audience and those on your calling database form your ‘wish list’ for new business, why abandon your lead generation efforts too soon? Of course, budget plays an important role. However, telemarketing is as much about mid and long-term revenue and building a sales pipeline as it is about creating leads for today, this week and this month. Sadly, many companies put the effort in at the front end but give up too soon. That’s unwise given that more lucrative prospects are likely to have contracted suppliers with designated renewal dates when reviews will take place. How will you ensure you get the opportunity to be on a pitch or shortlist if your subsequent contact doesn’t come at the right time? That means calling through your target data to establish review dates and making call-backs at the right time to generate the lead.